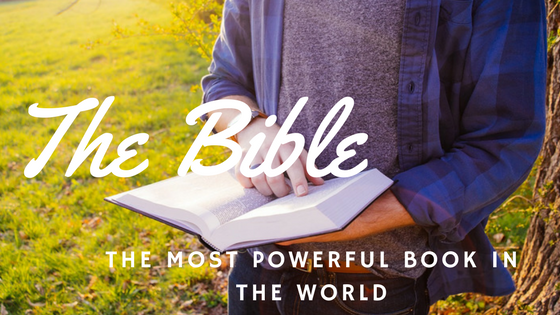 The Bible is by far the best-selling book of all time with around 6 billion copies printed. Add to that the online versions now available. What sets the bible apart from every other book? What does the bible mean to you? He’s not alone in thinking this way. Many people question how a book written so long ago could possible be applicable to our fast pasted changing world. The bible gives a plumb line of moral character. It sets boundaries of healthy personal and corporate relationships. The bible is the most incredible love letter ever written. The Old Testament contains writings about Jesus Christ concealed; the New Testament writings reveal Him fully. Jesus is the greatest Lover ever! Every word in the bible, though written by the hand of man, is inspired by the breath of God. Whoever reads the bible will come upon portions that are beyond our understanding or explanation. Some portions at first glance seem to contradict at each; other portions are hard to accept. Nicky Gumbel in his Alpha Series suggests we view the bible like a crossword puzzle. Some questions we can answer quickly and easily. Some questions we will draw a blank on! Are some queries tough? We go on to the easy ones, filling in the blanks as we go. Then we come back to the tough ones, that have a few more clues added. Now perhaps, we have solutions for the really difficult areas. Little by little the answers come. There are a surprising number of Christians who do not make daily bible reading a practise. In our busy lives, the best way to begin is to schedule it into your calendar. I would suggest picking the time of day that you are the most alert. Set aside just fifteen minutes! Pick out a private spot and begin! If you need some help try the Bible in One Year App or something similar. I hold tightly to this, one of my most valued and precious possessions, my bible. “They are more desirable than gold, even the finest gold. Several years ago I held in my hands a hand-written bible. Outlawed and banned, hidden at risk of life and liberty! Each page painstakingly copied and lovingly worn. I still feel the emotion of holding and touching those pages. May the bible become that precious to each of us – reading, meditating on, loving and obeying the words within its covers.